When it comes to your vehicle, you want to make sure you stay on top of things and make sure everything’s in working order, especially when your check engine light comes on. After all, having transportation is an important factor when driving to and from different places. It is important to take care of your vehicle before something major has it and you are stranded without transportation. One of the common problems motorists have is ignoring their vehicle and failing to bring it to a mechanic when their check engine light comes on. This is very important as it can lead to numerous other problems if not taken care of properly. Taking your car to a certified mechanic, such as Federal Way Automotive & Radiator, will make things easier as they have the knowledge and tools to determine what the problem is from the start when your check engine light is illuminated. They can run a diagnostics test to pinpoint what the issue is and let you know what further action is required. Sometimes the check engine light can be as simple as a loose gas cap, but sometimes bigger problems may occur. If you want to find out why your vehicle’s check engine light is on, read further to find common issues before it is too late. If you notice the check engine light flickering on and off, this could depend on the driving conditions in the area you are driving in. Be sure to check your vehicle’s check engine light and performance while turning off the highway or driving around town to see when the light comes on. If you notice a difference, bring your car to a certified mechanic right away. If you don’t notice a change, you may be safe to drive for now, but there might be a risk that your car won’t start or it will start dying once it’s parked. Another common problem is if your check engine light is always popping up and staying on. While driving, if you don’t notice any obvious performance issues when your check engine light is on, the first thing to check is your gas cap. Believe it or not, if your gas cap isn’t properly tightened, it can send a signal to your vehicle making the check engine light appear. Sometimes the problem can be fixed as easily as tightening your gas cap. If you check your gas cap and it appears to be tightened, there may be another problem occurring. This problem could be that your car’s emission control system, which could run the risk of your car not being able to start. It could even be time for an oil change. If your check engine light lights up, it is best to bring it in so a qualified auto mechanic can check your car and properly diagnose it. 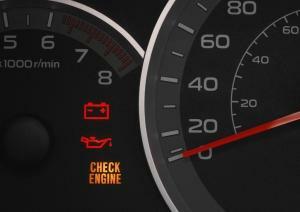 Are You Experiencing a Blinking Check Engine Light? 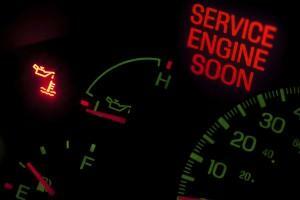 Do you notice your engine light blinking in a steady pattern? This can be a serious problem that needs to be looked at right away. If you notice this light blinking when you put your foot on the gas pedal, this means your vehicle’s emissions control is failing. You need to pull over to a safe place immediately and have your car towed to a mechanic. If you fail to pull over, you can cause your car’s engine to overheat to dangerous levels, and in some cases could start a fire. As this is one of the most serious problems your car an experience, it is important to put your own safety first before anything further happens. If your car’s engine does catch on fire, a lot of damage will follow and your car may not be able to recover from it. We Can Help! Learn More Today. When it comes to your car and your car’s check engine light, it’s better to have a professional Federal Way mechanic look at it right away before further problems arise. If you ignore this problem, chances are it will only get worse and you’re not only putting yourself and anyone else in the car at risk, but you’re also increasing your car’s chance of developing serious problems. Ignoring this problem won’t make it go away, but it will make the costs of auto repair much more expensive. Have your car checked right away to keep costs low. Don’t put off checking this important factor on your car, but bring it in to a qualified mechanic today.